Hard floor cleaning and polishing are two of the services we specialise in and it is not a coincidence that our popularity in Tottenham N17 and the neighbouring areas keeps growing every day. 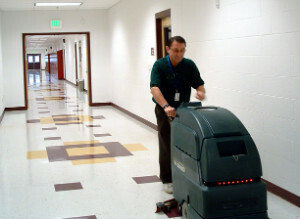 We offer cost-effective hard floor cleaning and polishing solutions of the best quality. We have been in the industry for a long time, so we have both the experience and the right set of tools and machines to deliver a fantastic procedure and save you the unnecessary troubles and disappointment some other companies’ services bring about. We will not make you wait for a hard floor cleaning service to be delivered. Depending on the area you are located at, you might even take advantage of the same day service option. Before our cleaners apply the cleaning solution, the floor will be inspected for damages, scratches and stains will be buffed. If you have not taken a proper care of the hard floors, they probably need a more aggressive cleaning and maintenance approach. In order to keep the floor in as good condition as it is right after the professional cleaning, you’d better consider a polishing service to be carried out. Our professionals will apply a protective coating to the floor, all scratches and minor damages will be removed. Don’t hesitate to take advantage of our offer and we are positive you will not regret entrusting us. Book a hard floor cleaning and polishing service for the area of N17 now and leave the completion of the tough project to our professionals. They have a flexible working schedule, so the service is to be carried out at a day and time of your choice.